Recently, my family had to put down our oldest dog – PJ. It was an incredibly sad moment for all of us since the grizzly old Border Collie had been with us for almost 15 years. It was particularly difficult for my father because PJ truly was this man’s best friend. We always joked that PJ was just like him, but in canine form – it was pretty clear that our family dog had taken on the personality of its owner. While it can be a little odd to think about, your company’s social media channels should do just what your family dog does – take on the personality of its owner. As we start to see social media marketing evolve to the point of necessity, you only hurt yourself if you aren’t taking advantage of the opportunity to humanize your brand and give customers a glimpse into your company’s personality. 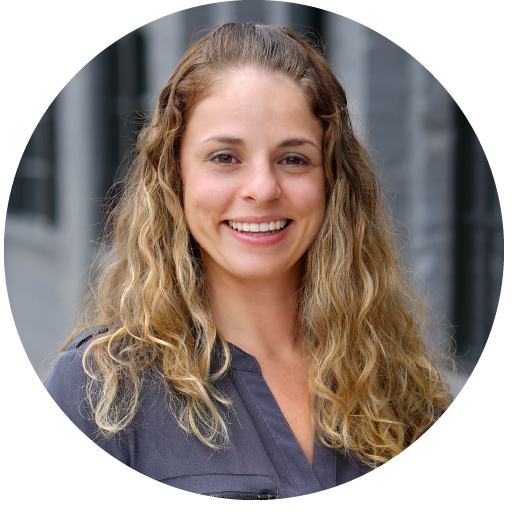 It should be a vital piece of your online strategy whether you have an eCommerce or lead generation business. Whenever I engage with a client about enhancing their social media strategies or presence, their first concern is always the same: How do I measure the ROI? It makes sense to them that they need to utilize these tools but they struggle with justifying spending marketing dollars to expand their social footprint. These same clients understand that SEO value is greatly impacted by customers’ social media interaction, but the primary driver of utilizing social should always revert back to the family dog model – let your social media take on the personality of its owner. In order to maximize your revenue and interaction, you must expand your reach socially because it gives personality, flair and a voice to your company. It helps your customers relate with you. The more your customers can get a glimpse of who they are buying from, the more they will keep coming back for repeat business. The opportunity to let your audience into your world and show them that you are human and care about their feedback is something that you can’t put a price on. Not to mention, it has never been easier to reach out and touch your customers individually; there are so many different outlets to humanize your brand and insert your personality in your sales and marketing strategies. Facebook – The most widely used of all the social media channels, Facebook offers an excellent opportunity to promote your internal blogs and deliver them in an entertaining manner. It is also an excellent tool for immediate Customer Service, thereby letting your buyers know right away there is somebody who cares on the other end. Facebook is also very effective because it is so multi-faceted – brands can post a status with a picture or video that can link to their own personal website. It’s a powerful tool to be able to engage on a multitude of levels. Twitter – Humor and flare in 140 characters or less. Its spur-of-the-moment style allows you to display your brand’s personality in an eccentric way. A great example of this is @ChipotleTweets – this is Chipotle’s official account and they do an awesome job of responding to customers but throwing some personality and humor into it. Pinterest – The fastest growing channel of the bunch. This particular social media outlet gives brands an excellent resource for showing customers what products and ideas they love. This strategy works two-fold; it offers suggestions/ideas but also gives a glimpse into the brand’s passions. In the example below, Mashable does an excellent job with boards targeted at their demographics but also incorporating some of their own personal humor. They link to topics their target audience will eat up – tech savvy folks looking for the latest gadgets, web humor and tech products for your home. YouTube – This online media tool can be under-utilized primarily because it can be misunderstood. However, when done the right way, it can give your customers a look behind-the-scenes and add some much-needed sugar and spice to your brand. Companies that excel in YouTube customer engagement and brand humanizing are very interactive and encourage users to submit their own videos, perhaps even running a contest for the best user-submitted video. Instagram – The newest of the group, Instagram is quickly making up for lost time. It has taken the social media scene by storm and made the wiz kids in Palo Alto take notice along the way (acquired by Facebook in April). This tool lets companies graphically build their brand and gives customers a glimpse into a brand’s mind – filtered creativity. 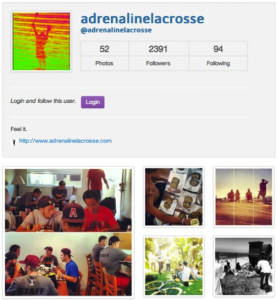 Adrenaline Lacrosse (pictured here) does a great job with customer and follower engagement by posting photos of the day-to-day office happenings, company contests requiring user feedback and activity while also keeping their customer aware of the newest products Adrenaline rolls out. While I encourage my clients to be active in as many of these social media channels as possible, the important thing is that you go all in with at least one of them. Interact. Respond to your customers. Deliver your messages in a quirky way. Post pictures and videos showing behind-the-scenes footage that went into the making of products. Put a face and a personality to the name and the business will flow in like never before. It is the perfect opportunity to open up, let your hair down and give your customers an uninhibited look under the hood. And after all, it is often said that people buy from those that they like, so why rob yourself of the opportunity to give your customers a first-hand look at the man or woman behind the mask? Now, let’s get to it – if you’re ready to start humanizing your brand and ratchet up your online marketing via social media, contact Groove Commerce today.